There is no time to relax! It's time to protect all of us. And it's up to you! We know that you are brave enough and you can kill all this horrible zombies. Place your weapon and do not let them go through! Good luck! Zombies are waiting for you! They wanna to invade our planet again! 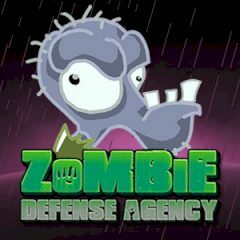 But that is great that we have a zombie defense agency. It was created specially for these terrible creatures. It is handle the threat of a zombie invasion. So, your task is to defend. Zombies are coming, so use the weapons at your disposal to make sure that they will not go through. Try to place them in the right order, otherwise these creatures win! Try to build a big complex defenses by building the mazes with your weapons.Do not forget that zombies are not same, they have different power. Be attentive!